The 2009 World OutGames are taking place in Copenhagen from July 25th to August 2nd. My name is Ryan and I am a Business Development Manager with the leading provider of sports group travel, Flight Centre Business Travel. 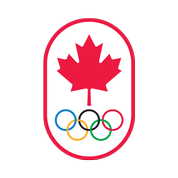 I have been working with Team Vancouver, in arranging travel to the World Outgames in Copenhagen . I would like to extend this offer to you and the teams interested in traveling to the 2009 World Outgames. We specialize in helping groups get to there destination and special events. The reason why Team Vancouver has chosen us as there travel partner is because of the services we are offering which will allow the participants to have a stress free experience to and from the games. The way we ensure this happens is by offering a 24 hour worldwide service line in addition to many other services. I would like to discuss this further with you, and will be in touch tomorrow at 1pm est., should you have any questions before that please donʼt hesitate to contact me at 604-374-2200.